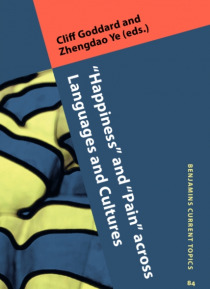 In the fast-growing fields of happiness studies and pain research, which have attracted scholars from diverse disciplines including psychology, philosophy, medicine, and economics, this volume provides a much-needed cross-linguistic perspective. It centres on the question of how much ways of talking and thinking about happiness and pain vary across cultures, and seeks to answer this question by em… pirically examining the core vocabulary pertaining to "e;happiness"e; and "e;pain"e; in many languages and in different religious and cultural traditions. The authors not only probe the precise meanings of the expressions in question, but also provide extensive cultural contextualization, showing how these meanings are truly cultural. Methodologically, while in full agreement with the view of many social scientists and economists that self-reports are the bedrock of happiness research, the volume presents a body of evidence highlighting the problem of translation and showing how local concepts of "e;happiness"e; and "e;pain"e; can be understood without an Anglo bias. The languages examined include (Mandarin) Chinese, Danish, English, French, German, Japanese, Koromu (a Papua New Guinean language), and Latin American Spanish. Originally published in International Journal of Language and Culture Vol. 1:2 (2014).